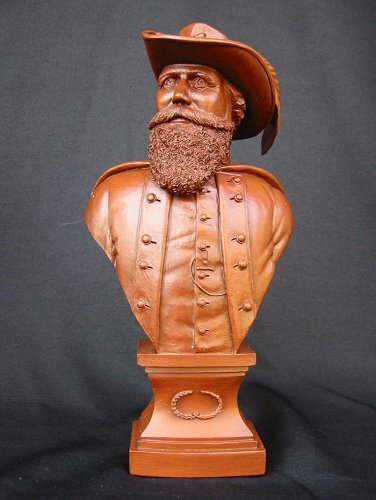 This magnificent resin cast bust of General J.E.B. Stuart is 10 inches tall and 5 inches wide. Sculpted by the renowned artist Allen F. Weidhaas, and cast to exacting standards, it will make an eye-catching addition to your den or mantel.